#VenezuelaCrisis: The crowds are calling for new presidential elections and the release of jailed politicians. There were clashes between protesters and riot police. Elections are not due until late 2018, but the opposition says the country is on the verge of collapse. At least three people have been killed in Venezuela in protests against the government of President Nicolas Maduro. A teenager in the capital Caracas and a woman in San Cristobal, near the Colombian border, were shot dead. A national guardsman was killed south of the capital. Tens of thousands of people rallied to demand new presidential elections and the release of jailed opposition politicians. Mr Maduro accused the opposition of attacking police. He also accused them of looting shops, saying that more than 30 arrests had been made. Supporters of the government held a rival rally in Caracas. Meanwhile, opposition leader Henrique Capriles has called for further mass protests on Thursday. Despite having the world’s largest proven oil reserves, Venezuela has suffered for several years from high inflation, rampant crime and a shortage of basic goods. The protests taking place across the country were expected to be the biggest in three years, putting extra pressure on President Maduro to negotiate with the opposition and find a way of easing the country’s economic crisis. Anti-government protesters have described it as Venezuela’s “second independence day”. Elections are not due until late 2018, but the opposition says the country is on the verge of collapse. Inflation is expected to top 700% this year, the IMF says. The latest crisis was triggered by last month’s Supreme Court decision to officially take over power from the opposition-controlled parliament. 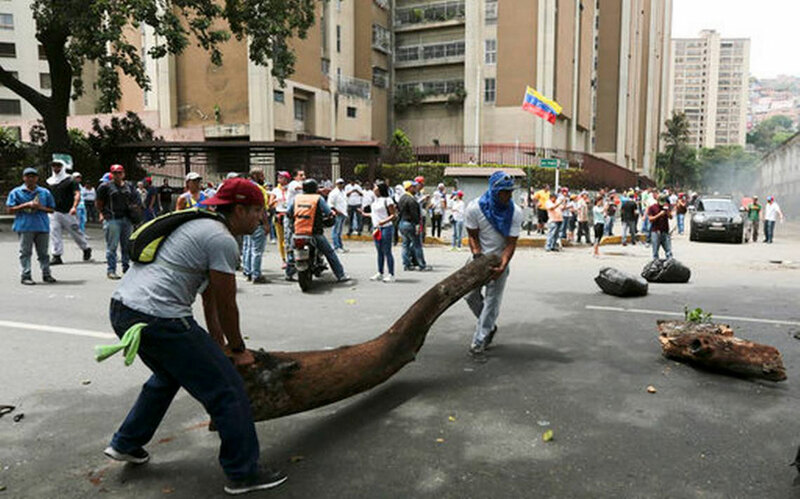 Venezuela has now seen weeks of clashes between demonstrators and police. The latest deaths bring the number killed to at least eight, with many more injured. Three Killed at Anti-Government Protests in Venezuela. Opposition leader Henrique Capriles has called for further mass protests on Thursday.